As some of you will know Ant-Man is a Marvel character I'm quite close to, both through the comics in his various incarnations, and the fact that I cosplay him from time to time. I like to think I know the character very well and therefore the news that Paul Rudd was officially cast by Edgar Wright for the upcoming Marvel Phase III movie was a bit of a let down. 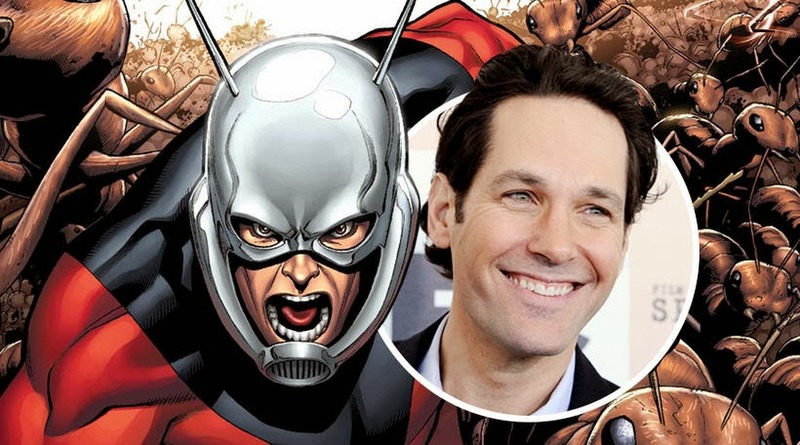 I admit I've never liked Paul Rudd and his work in Hollywood so maybe I'm a bit biased, but is it only me who thinks he's not someone you'd picture as Hank Pym or Scott Lang? As it turns out it looks like Edgar Wright is looking to cast Rudd as the more recent incarnation Scott Lang and not the original Avenger Hank Pym (going by a Tweet he sent out last week saying he's been watching the Avengers: Earth's Mightiest Heroes episodes with Scott Lang in them) and if that's the case then I can see the path they're taking, the more humorous and witty Ant-Man and not the super-intelligent scientific version. Anyway, it's done now and as I always say "let's just wait and see".